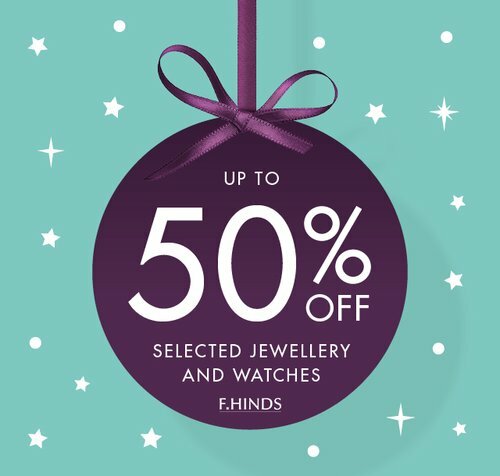 Swing smartly into the festive season with 50% off selected diamonds, jewellery and watches from jewellers F. Hinds. Research shows that women buy a lot more jewellery from themselves now, so a wonderful opportunity to get that lovely diamond necklace or the stylish new watch you have always wanted. Visit F. Hinds in store or online from 3rd – 19th October 2018.